After an intermission that lasted five years, the Woodlands Symphony is making a comeback. Darryl Bayer, who is one of the original musicians, is playing the role of the artistic director of the band and has made it his aim to bring all of them back together. Bayer is an award-winning music educator, recording artist and musician and for 15 years, he acted as the principal trumpet player of the original Woodlands Symphony. Bayer said that people would come up to him and ask about the Symphony and he would reply that it was done. Obviously, they asked him to rectify the situation. Initially, he didn’t see why he should be the one to do it. But, later on, he realized that he had been part of the Woodlands Symphony from the beginning so he had decided to do it. He first requested the blessing of the former board members through a letter and then started from scratch by applying for nonprofit status again. He elaborated that the economic downturn had caused the previous incarnation to suffer. He said that the economy made a recovery and the Woodlands Symphony could have made it. People were happy when they heard it may be coming back so he decided to get the word out by putting out cards around town. Bayer said that he organized a concert and got in touch with the original musicians who were delighted. However, he also carried out auditions for new members because he wanted new musicians who could be different, daring and wild. They got some hip new musicians that could transform them into a cool symphony. 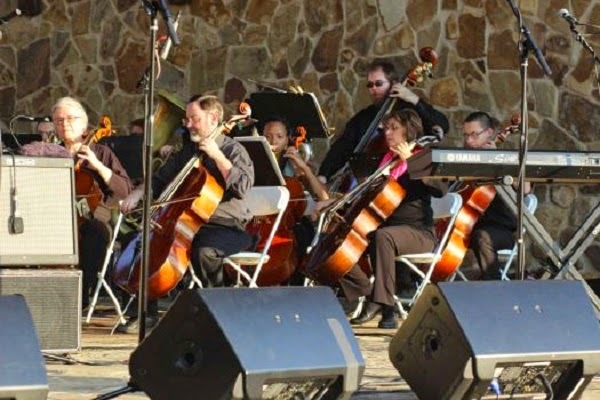 In September, the new Woodlands Symphony performed their first concert after only two rehearsals. Bayer acted as guest conductor at the show held in Creekside Village’s Rob Fleming Park. Now, since he has a buzz going, Bayer is now focused on fundraising for a paid symphony. He wishes to raise somewhere between $25,000 and $30,000 and he still needs $10,000 for his next show, which is slated for February. Online donations can be made and Bayer is hoping for a full concert season. Bayer wants to hold a concert in April for presenting a tribute to George and Cynthia Mitchell. In June, he wishes to present ‘A Midsummer’s Night Dream’ along with Shakespearean actors. His plans include hosting another outdoor pop concert in September. Eventually, he wishes to perform Handel’s ‘Messiah’ in December, in order to highlight the tradition of the Woodlands Symphony Orchestra. In several ways, Bayer wants to differentiate the new symphony from the previous one. He said that they want to be different from the original symphony and wish to target a younger audience. He asserted that their aim is to create a completely new generation of symphony fans. McKenna Jordan, the concertmaster of the new symphony is also in agreement and said that the Houston Symphony had benefitted from the mixed media concerts, which had drawn lots of young listeners who are the future of the symphony.